Waldorf Astoria Dubai Palm Jumeirah has appointed Corah Caples as the property's new director of operations. Caples has over 10 years of management experience in the luxury hotel industry across all aspects of hotel operations, from food and beverage outlets, to spa facilities and rooms; bringing an unrivalled skill set to the five-star luxury property, which has positioned itself as one of the most iconic beachfront locations in the Middle East since opening in 2014. In her new role as director of operations, Caples will be responsible for the effective operational management of the hotel, overseeing the heads of departments to ensure they achieve and exceed their revenue and guest satisfaction targets. Caples will apply her extensive knowledge of the hotel business to ensure the landmark property continues to provide unforgettable experiences from the elegantly appointed rooms and suites, to the award-winning Waldorf Astoria Spa and six exquisite dining venues. With a Masters degree in Hotel and Tourism Management, Caples has gone on to hold a variety of senior roles across notable hotels in the UK and Ireland, from general manager at The Beacon Hotel, Sandyford, to resident manager at the five-star Fitzwilliam Hotel in Dublin for over five years. 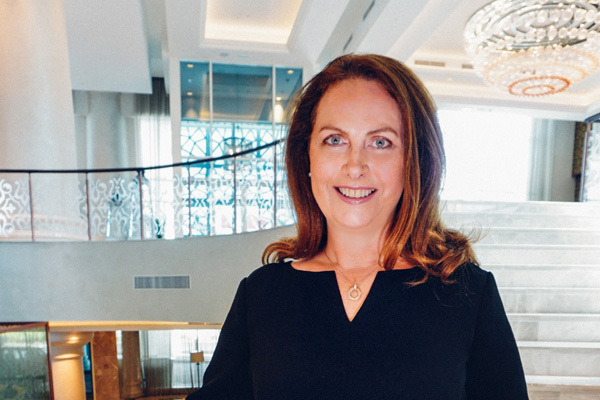 Before taking up her role at Waldorf Astoria Dubai Palm Jumeirah, Caples held the position of director of operations at the Conrad Dublin where she was responsible for running the day-to-day operations of the 192-bedroom hotel, managing 195 team members as well as successfully leading the hotel through an 18-month refurbishment project and re-launch.